Tap into our North American network to find a window restoration professional near you. WPA is a friendly and helpful group of people! "Helpful" being the key word here. We have members with upwards of 30 years experience and members with less than a year experience. Click the button below for more information on our Mentor Program. To inspire the preservation of original windows by educating the public about the beauty, craftsmanship, and energy efficiency of original windows and supporting the people and businesses who restore them. Not a WPA member, but want to receive updates? Click below to join our mailing list. Are you a homeowner with pre-1960 original windows? Are you being told your windows are "shot", or that because the ropes are broken, or the window is painted shut that it can't be repaired? Are you being told you'll see great energy savings if you replace your windows, but your good sense thinks otherwise? Or are you the person responsible for a school building or other civic resource and have a nagging feeling that replacing the original windows will erode the historic value, to say nothing of the beauty, of your public resource? We can help you sort through the issues of restoration vs replacement. We can share studies on the energy (and cost) efficiency of original windows, when paired with a storm. And we have lists of resources in your area who can help you get the job done in a way that preserves the beauty, integrity and yes, charm of your home or school or re purposed factory. Are you an architect, builder, realtor or restorer? Do you need information to help your clients make the right decision about windows? Do you need good specs so that you get accurate, comparable proposals? 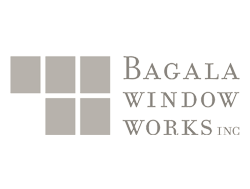 Do you, as a window restoration specialist, need information from your fellow restorers or a new source of window supplies? Our library of resources, studies, books, etc, as well as our directory of resources will get you started and make you a valued partner with your clients in doing the best thing for their properties.